PVCu quality Raised Flower or Vegetable Bed 900mm x 1800mm (3ft x 6ft) x 300mm (12inch) high WHITE. Also available in BROWN or GREEN. Other sizes available see our other listings. Easily assembled kits, screws are included. Fasten brackets provided to end of side sections (one bracket is machined to fit smaller slott at the top). Slide timber post into corner post and fasten side section in place screwing through plastic corner post into timber section. Fit caps in place. Different shapes can be created by combining 2 sizes together. 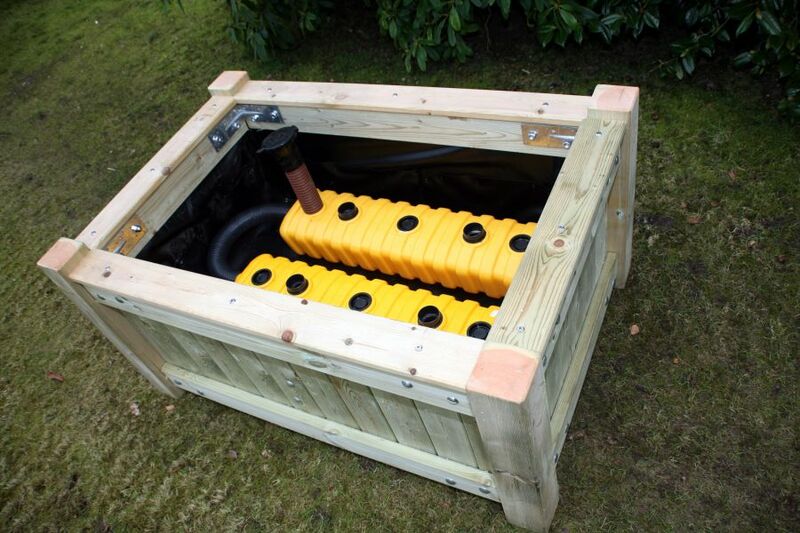 Built in Water tanks are available for this product which will store enough water to keep your plants watered for up to 6 weeks please contact us for details. Should be lined with landscape fabric, plastic sheet or old plastic bags, do not completely cover the bottom with plastic to maintain drainage. These are made to order no returns.